I’m really not a winter person. The shorter days, miserable weather and dark mornings have me longing for summer to arrive. Yes, I get that it's nice when the weather is awful and you're holed up inside, all cosy and toasty and feeling smug, but what happens when you do have to venture out? And when I say ‘out' I don't mean the 20-minute round trip for the school run, I mean ‘out out'. You see, one thing I really hate is being cold – and unfortunately, I’m someone who feels the cold really easily. I need to feel warm and cosy all the time or I’m not in a good mood. I feel there should be a word for this. A bit like ‘hangry’ (when you're angry because you're hungry), there should be a ‘colgry’ – for when you're frustrated when you can't warm up! So when JD Williams got in touch to see if I’d like to take part in their challenge to pull together an outfit for the autumn/winter for £100 or less, I knew that I’d have to choose an outfit that was versatile and that I could wear time and time again to keep me warm and toasty – an outfit for the colder months! 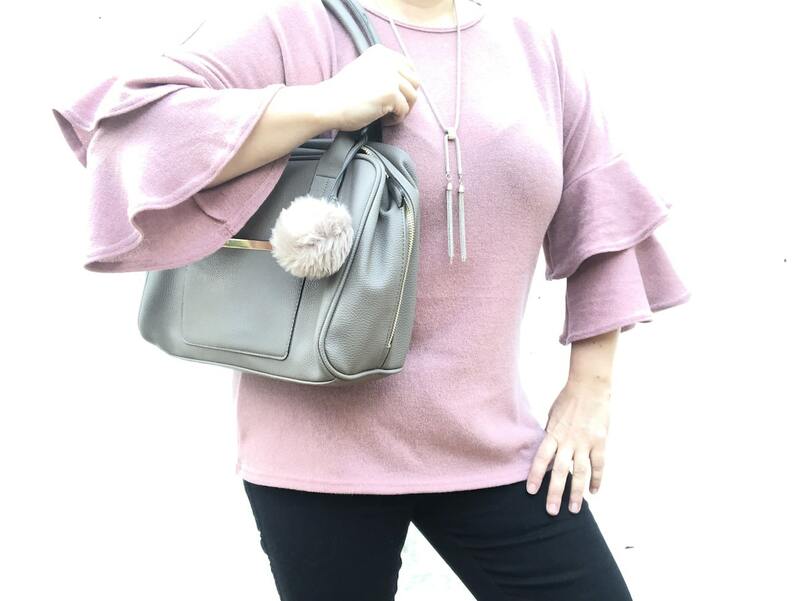 And because I’ve just started to get my mojo back, it made complete sense to delve into a fashion post when I’ve (finally) started to like what I see when I try on old clothes that didn’t fit me before. However, there's one overriding decision as to whether or not all I'll wear something – and that's my mantra of ALWAYS going for comfort over fashion. Yes, I want to look wonderful, trendy and in tune with the colours and styles that suit me, but I also want to make sure I'm not tugging at my top every 5 minutes because I feel self-conscious. When you start getting older you realise that you might look great, but if you feel insecure about your outfit of choice, people will notice a mile off. When I go ‘out out', I not only want to wear something that I feel comfortable it, but it looks stylish and appropriate for the occasion too. So the challenge to myself was to find something that I could wear everyday, but I could dress it up to go ‘out out' as well. I deliberated for ages on what top to choose to pull my look together. It needed to work well with the bottom half and of course it needed to be something I'd be confident to wear – time and time again. I'm your typical ‘girl next door' jeans and t-shirt wearer. I'm rarely seen in a dress and forget the spaghetti strap vests for summer – give me a slogan t-shirt any day. Some of my favourite clothes to wear are sporty tops that do a great job in covering me up and making me feel, well…me. And much of fashion is about expressing yourself isn't it? We choose our clothes based on how they make us feel and the image we want to portray. My desires to be super fit mean than I lean more towards a wardrobe of ‘trakkie b's' and tshirts. But sometimes, just sometimes it's nice to mix things up a little – and be a lot less predictable. And, with my newfound confidence, I decided to take a tiny step outside of my comfort zone – but only a tiny one mind. 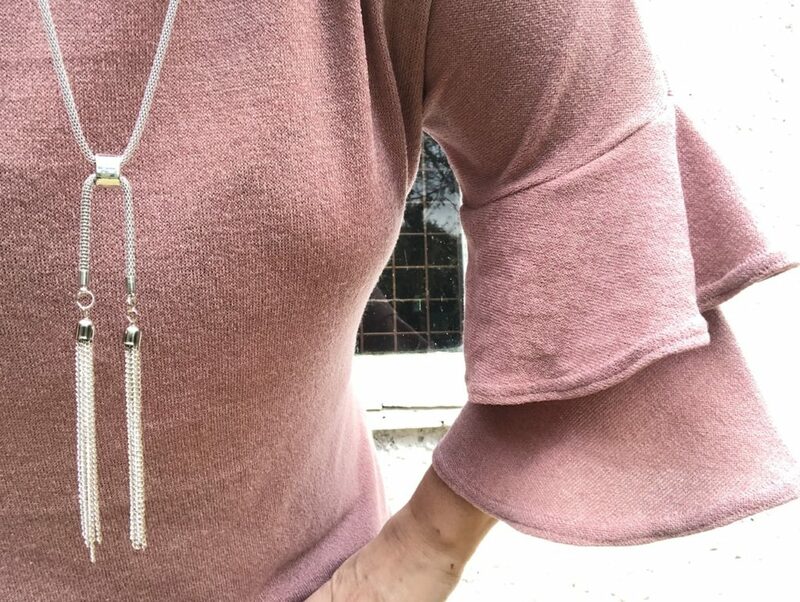 But what's great about the top is that it comes with a gorgeous (unattached) necklace, meaning that it's easy to take it from a daytime outfit to something a bit more glam. Plus, being made of stretch jersey it's comfortable to wear – and most importantly warm!! As I mentioned, I knew I'd be opting for a dark trouser or skirt. And as I'm not much of a skirt wearer I wanted something that would look great for daytime or evening. (b) going for a dark trouser with the velvet stripe down the outer legs would make them a perfect choice for adding that extra detail, but would also add a glam element for evening wear. And I wasn't wrong – they are super comfy and I feel like they're ‘me' as they feature the stripe – and I can't get enough of the stripes! One thing I will have to fix is the leg length though. Being a pint-sized 5'1″ means that I struggle to find the perfect fit. In the case of these jeggings, as the bottoms were tapered I simply turned them up underneath. They look great when I've done this, but I might have to turn them under for a more permanent solution – especially as I plan on getting lots of wear from them! If anything needs to be the most comfortable about an outfit, it’s got to be the shoes, right? I might be walking, running, skipping and maybe even breakdancing in these booties, so they’ve got to (a) look good and (b) withstand the pressure! So I opted for a Bordo Wedge Leisure ‘wide efit’ trainer (£27) that I know I’ll be getting loads of wear from. I like the colour, the style – and best of all, the wedge! When you’re a half pint size like me (5’1” if you’re wondering – and boy, does that extra inch count! ), you’ll do anything to try and look like you’re taller without looking like you’re trying. The colour of the boot is great because it will team nicely with most other outfits AND it looks like it should be for autumnal and winter wear. And the style is bang on trend as the bootie trainer is in (wooohoooo! ), plus as I’ve mentioned, the extra inch or so on the heel is always a winner. 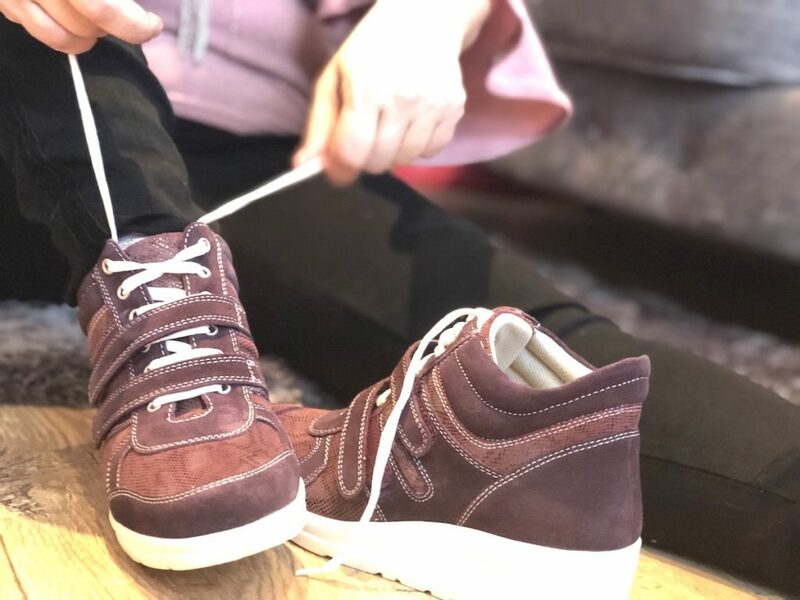 Having worn them on a number of occasions now, I can confirm that they are very comfortable – so much so, that my daughter tried to nab them to wear. I actually foresaw this event happening so I ordered a size 5 (she’s a size 3.5) to prevent it. Hopefully by the time she gets into a size 5 shoe, she’ll have forgotten about them. That’s the plan anyway. And, no outfit comes complete without a cute bag to finish the look off. Taupe is one of those colours that goes with any outfit – you can dress it up or dress it down. Although this is a rather smart looking bag (smarter than what I'd normally choose anyway! ), the cute pom pom gives it a more playful look – and fluffy poms poms are perfect for the colder months. 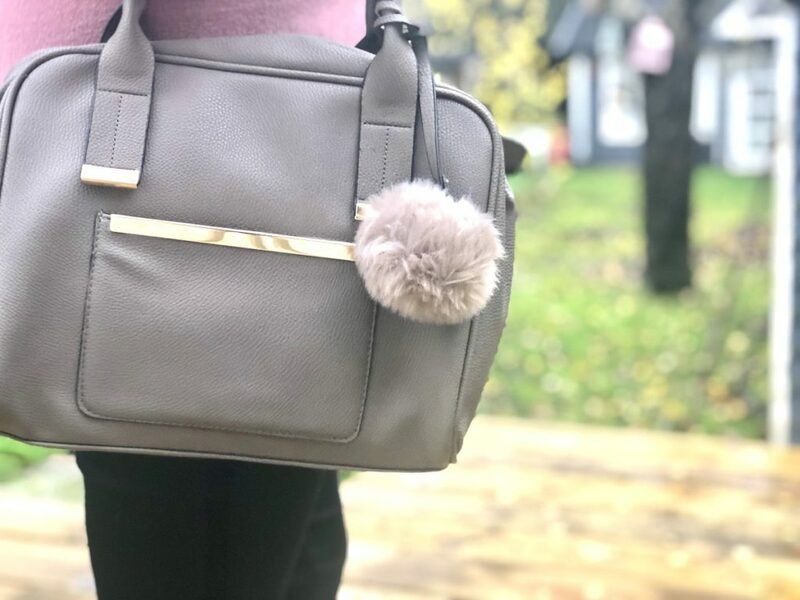 I'm a big fan of them anyway – I've got one hanging from my other day bag and I've got a fluffy gilet that matches it perfectly – a win-win! It's only £20! I know right? Looks like it should be much more expensive than that. I’ve added a 5th reason after using the bag on a number of occasions. My MacBook comes everywhere with me (well, almost everywhere), and I’m thrilled that it fits nicely into my bowler bag. I don’t even have to cram it in – it effortlessly glides in, like it was meant to be there! So, apart from sticking on some shades (to deal with the winter sun) and possibly my fluffy faux fur gilet when it gets REALLY cold outside, that just about completes my winter warmer ‘go-to' outfit. I know it's a fairly relaxed look, but the necklace addition and bowler bag give it a more polished look, meaning that it wouldn't look out of place in a posh nosh restaurant – and it's ideal clobber for a cuppa and a catch-up round a mate's house. And best of all, my whole outfit – top (with removable necklace), leggings, trainers and handbag came to just £93! Finally, I have to say it, but props to the clothing manufacturers who have become much better at offering clothes that not only look awesome but they’re comfy too. The days of sacrificing comfort for fashion are fast disappearing. Looks like we can have our cake and eat it right girls? Just not too much though, right? What's your go-to outfit or piece of clothing when temperatures plummet? 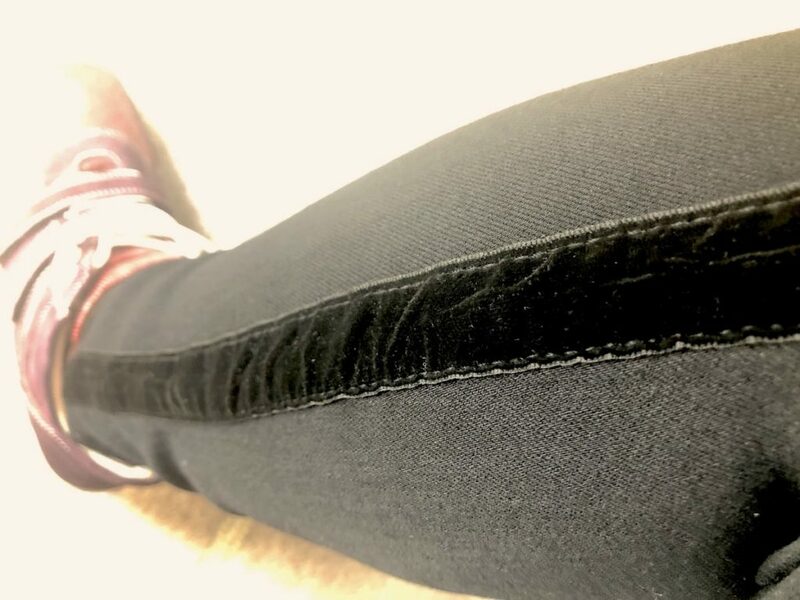 I love those jeggings with the velvet stripe. I couldn’t wear the top on its own in winter though, as my neck and arms would get too cold. Thanks Fiona – and yes, I know what you mean about the top – as it has ‘bell’ sleeves it’s quite versatile in that you can wear long sleeves underneath it and it wouldn’t look out of place. And of course I’d be putting a coat over the top! Especially when the weather drops hugely in temperature like this week! Thanks Arabella! I’m not a fan of dresses in winter either to be honest – I’m more a jeans and jumper kind of girl, but I think the most important thing is being comfortable! Fab outfit and accessories! I just love the color combination of taupe and rose. We go for sports wear. Thermal vests, base layers and cycle tops make very good winter underwear! Mountain Warehouse stuff is quite good for this, and well priced! Thanks Bill – I’m a fan of sports wear too …and I’ve heard that if you’re expecting to be outdoors for a while, that layers are great for warmth. I usually put a vest top on underneath my clothes anyway, but I try to avoid being outdoors when the weather’s bad – I’m a bit of a home girl! I love those high trainers! I’m the opposite to you – I hate being hot, so winter is great as I don’t overheat. 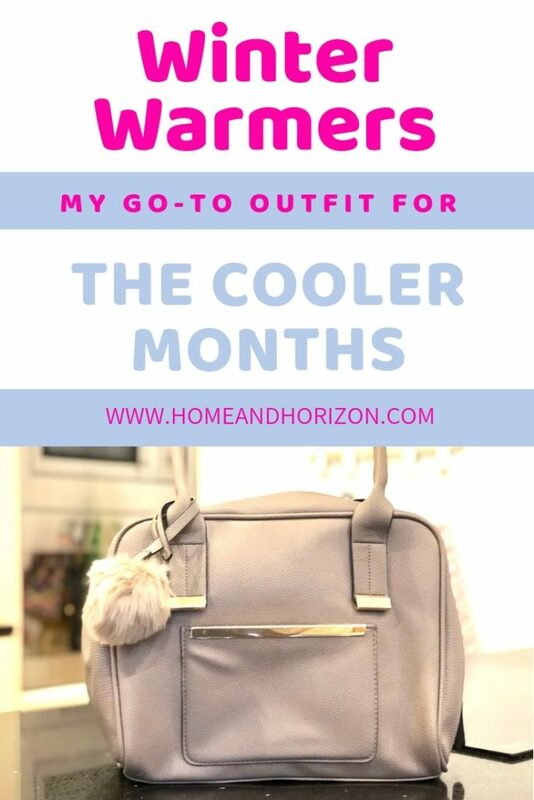 I don’t even own a winter coat – just jumpers! You sound like my husband – he lives in shorts….even in winter!